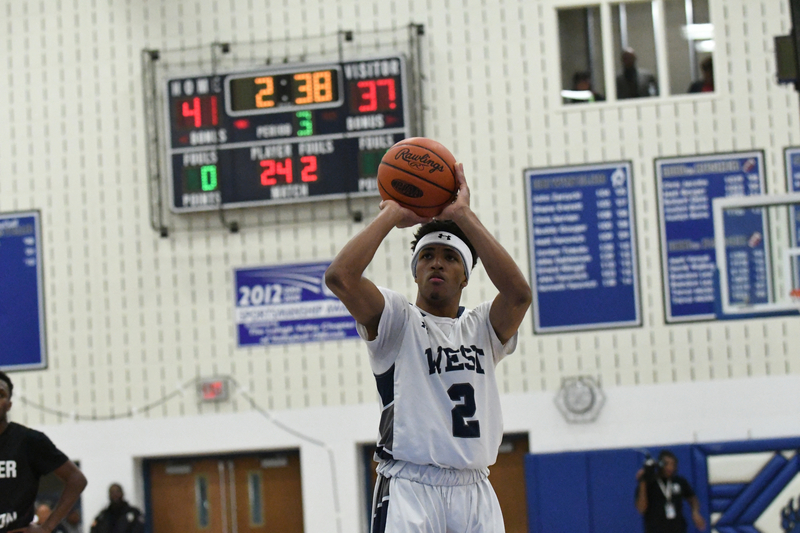 Exciting Game to Photograph & Pocono Mountain West Wins! 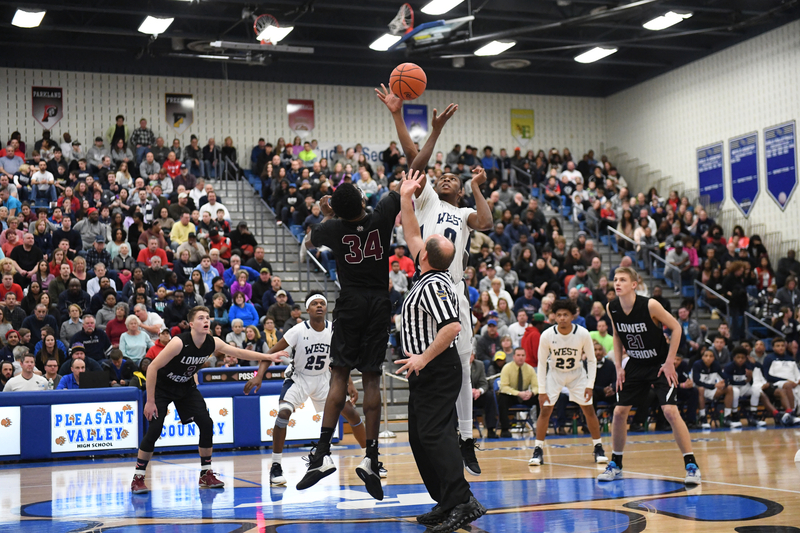 I was asked to photograph the Pocono Mountain West PIAA Class 6A Tournament Game against Lower Merion. It was an opportunity I very much looked forward to because this time of year is always exciting in terms of basketball. Add to this a thrilling game and you are in for one incredible evening! The game started at 5:30pm and, of course, started with the tip off. The teams came in evenly matched and everything was set for the thriller. The game started methodically, as each team began by testing the other and exchanging basket for basket at first. 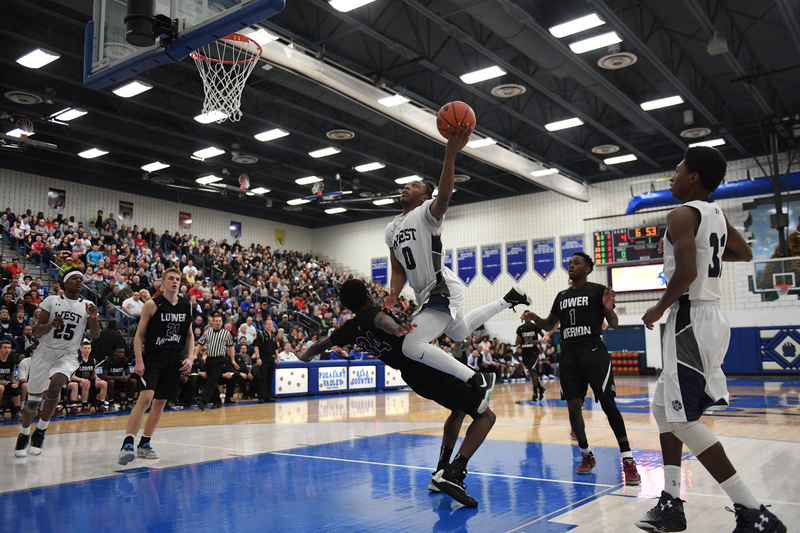 Then, Lower Merion scored and went ahead a little. It was still a back and forth game. Then Lower Merion scored two 3-point shots in a row. They were on a roll and they appeared to know it. 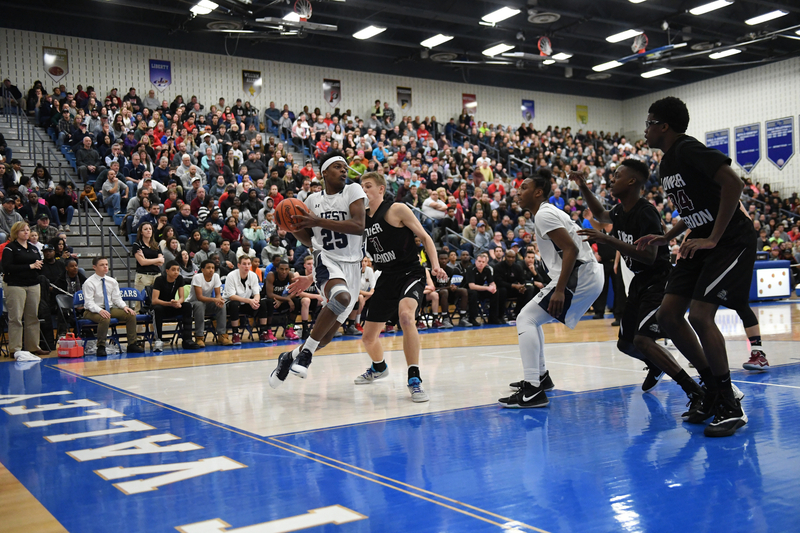 Pocono Mountain West did not appear to blink. They took the momentum shift in stride and went to the locker room at half-time down by six points. While the fans might not have sensed it at the time, the players seemed to exude a “we got this” attitude. Confidence is key in a big game and the second half would certainly dictate the outcome of this tournament game. 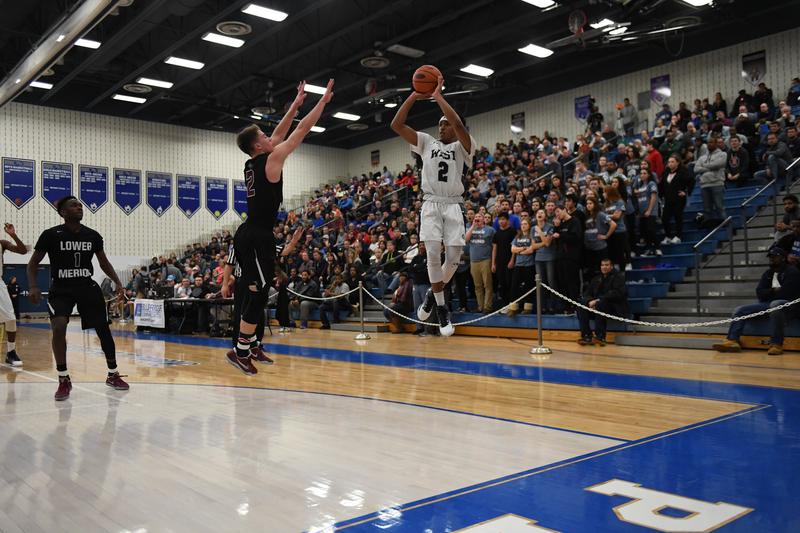 It did not take Pocono Mountain West long to erase the six-point deficit as the second half began. There was some more exchanges like two heavyweight boxers going toe-to-toe, but West was clearly gaining momentum and confidence in the game. Watching this team work together on defense was one of the keys to the turnaround in the second half. Patience and persistence was paying off slowly but surely. 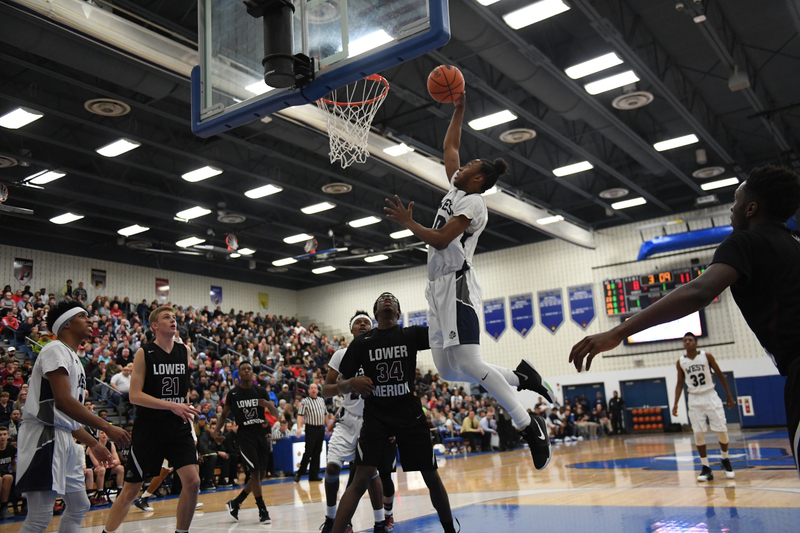 Lower Merion was slowing the pace all game long. At fist, this seemed to frustrate the Panthers. The second half was a different story. They challenged the ball-handlers, forced some turnovers, and kept the opposing offense out of the paint. It was a strategy that worked to perfection. The final score was 71-57 and showed how Pocono West not only weathered the storm but played confidently throughout the game and capped it with a strong finish. What a game and what a night for this talented basketball team! 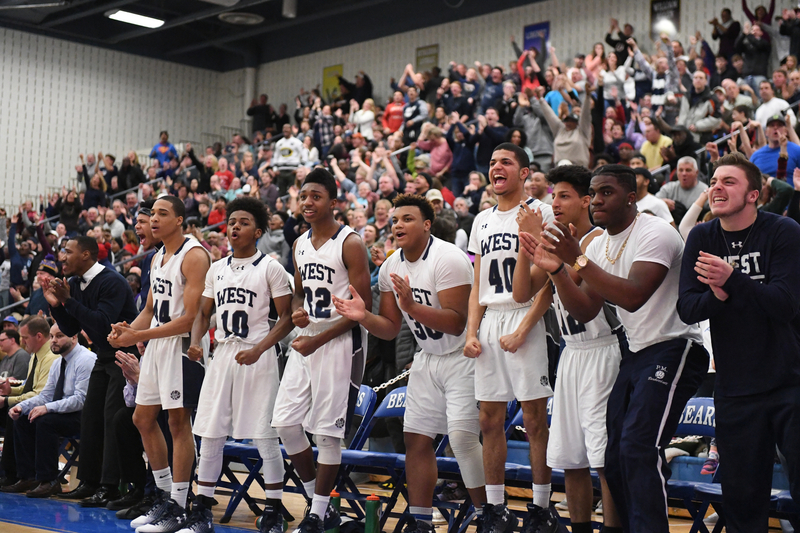 Congratulations, Pocono Mountain West!